Originally (kind of) from NYC, but packed up and moved to SF in 2011 and have only looked back twice. We’re excited to announce that CoSchedule has joined our Technology Partner Program. CoSchedule is a comprehensive marketing tool to help you and your team execute your entire content marketing strategy within WordPress.com VIP. If you’re looking to plan awesome content and save a bunch of time, the CoSchedule plugin on VIP can help you do just that. Customize everyone’s role on your team to give permissions for specific responsibilities. Help them use the features they need to do their work, and hide the ones that get in their way. You can control access to your social profiles to limit who can and can’t publish to each account. Give specific team members the rights to use certain company social media profiles while restricting others’ access. This will help you get a ton of traffic from your team, while providing advanced accountability for social sharing. When you create content your team is really proud of, they’ll want to share it with their personal fans, followers, and friends. Your team can rock at social media with private social profiles and share your content to generate even more traffic. Sometimes, you just need to know who published what. It helps to have a full history log of who modified your blog and social media content. CoSchedule will help you know exactly who did it. Schedule social media messages as you write your blog posts. That means multiple team members can work on a project at the same time to move faster, be more productive, and work together in the same tool to see what everyone is working on. Create a workflow that suits your needs: build your own task templates, name those tasks, assign them to the right custom roles for your team, and automatically change the due dates if you move your content around on your calendar. You need to know how your content performs to prove your ROI and improve your future content. You can access CoSchedule directly within WordPress.com VIP, or as a standalone web app. CoSchedule uses the same security technology most banks use to protect your information. Check out their status log whenever you’d like to see stats on our up times. You’ll always have access to at least two support techs during regular business hours, and at least one support tech is on call 24 hours a day. There’s something special about receiving support that helps you get through a tough problem. And taking that to a whole other level is even better. Get the priority level support you need for any question you have when you choose CoSchedule for WordPress.com VIP. The support includes setup assistance and full support for your entire experience with CoSchedule. Don’t hesitate to reach out. Getty Images, one of our Featured Partners, announced today that it is making its library of award-winning professional photographs available for free through a new embed feature. We are very excited to bring this embed to WordPress.com and wanted to make sure that our VIPs are also aware of this awesome new feature. 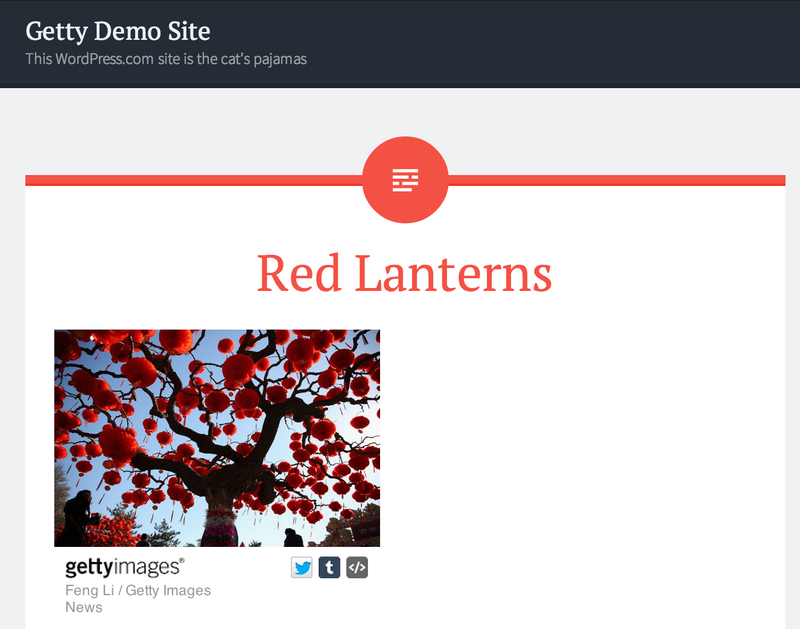 As you know, Getty Images is also a Featured Partner and has built a VIP plugin that allows users to license and access images directly from the Editor. Unlike the free embed, this plugin requires a license to Getty Images. For more information about the new embed feature, check out this post. If you’d like more information about using this feature, visit our Getty Images embed support page. We’re excited to welcome the latest partners – PublishThis and Brow.si – to our Featured Partner Program. Since the Partner Program started, we’ve focused on finding smart and innovative technology providers that are building cool tools for our VIPs. With PublishThis and Brow.si, we’re bringing the latest in content marketing and mobile web experience into our WordPress.com VIP platform.